It was January 2012 and I had just moved down to North Carolina to work for the Obama campaign. It was the first time I had ever moved somewhere new without really knowing anyone. My only acquaintance was my boss whom I had met on a couple of occasions at national trainings. We certainly got along but we definitely weren’t close. It’s unsettling when you move somewhere and don’t really know anyone, because there are constant reminders about how few friends you now have. For me the first one was the Super Bowl. Where the hell do you watch the Super Bowl when you don’t know anyone? Do you just wait to be invited somewhere by one of my coworkers? Because it’s a political campaign, do your coworkers even have their own place to live or are they living in supporter housing? Luckily enough, a donor/bundler had everyone over to their place. The Tuttle family had a beautiful home. Mrs. Tuttle exhibited that traditional southern hospitality through offering us every kind of football food under the sun. Nachos? Pizza? Chili? Are you still hungry? Do you want me to bring down some cookies for everyone? It was comforting to see a family invite 20 people they didn’t really know over to their place because they knew we didn’t have any plans. That night gave me the reassurance that I would find my place in Raleigh. The Tuttle family would be a steady presence throughout the campaign. They had an extra bedroom that housed multiple staffers over the course of the year. They invited everyone over for the opening ceremony of the Beijing OIympics. Every now and again they’d buy the entire office pizza knowing that we likely hadn’t eaten that day. Mrs. Tuttle would make sure to take all the leftover food from a fundraiser and bring it to the office so it didn’t go to waste. Mr. Tuttle would show up at the office every now and again to check up on everyone and talk about the state of the race. The Tuttle family felt like a Raleigh staple and it was comforting to know that we had someone so knowledgeable of the community and state politics on our side. Mr. and Mrs. Tuttle were two of the few non-campaign people that hung out with us on election night. Everyone in the office made sure to sign an OFA 2012 sign thanking them for everything they had done for us. They were incredibly helpful and supportive and I couldn’t have been happier to have met them during my time in Raleigh. Earlier this month the Supreme Court decided the case McCutcheon v. FEC, abolishing aggregate limits on political donations. For those that don’t know, previously a person was allowed to donate up to $2,600 per candidate per election with an aggregate limit of $48,600 each two-year election cycle. Primary and general elections are considered separate, so an individual could give up to $5,200 per candidate. Before this decision, an individual could give the max to up to ~9 candidates before reaching their limit. McCutcheon v. FEC ruled this aggregate cap a violation of the First Amendment, since the court has established that money is speech. It’s easy to get angry at this decision. Giving too much money to candidates can be seen as a corrupting influence. Oftentimes money buys access that regular people just can’t get. For the most part that’s true, but I think it’s wrong to view all big donors through this evil empire lens of corruption and absurd wealth. On the rare occasions where my boss would be asked by Mr. Tuttle about our internal polling, he’d definitely let him know about the general direction of the race without providing specifics. We’d answer their questions as quickly as possible but they didn’t influence how we ran the race. The Tuttles had access, but it wasn’t because of their checkbook. For many members of the campaign, they were surrogate parents that supported us in all the ways I’ve already mentioned and more. More money in politics isn’t always a good thing. While the Tuttles may have been benevolent donors, not everyone is like them. There are entitled assholes on both sides of the political spectrum. Most people’s exposure to campaign spending consists of non-stop political commercials starting in August of each election year, so greater campaign spending feels like it’ll translate to even more annoying TV and radio ads. But in the world of political data more money means a larger budget for targeting and analytics. More money in politics made sure that I was employed. We had eight data staffers in NC in 2012 with one Geographic Informations Specialist. In 2008 I would have been laughed at if I asked for funding for a guy whose specialty was making maps. 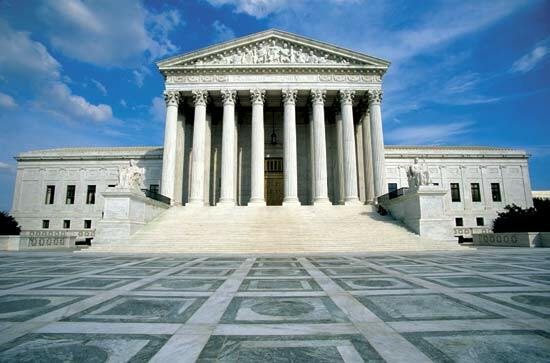 McCutcheon v. FEC is troubling, but it’s not the end of democracy. The trend of allowing a very small number of extremely wealthy families to have a disproportionately large political voice is a terrible thing. But the trend of more resources being put in the hands of the state and national parties allows for smarter, more sophisticated campaigns. Unfortunately, in the current political environment we need a Supreme Court that believes that money isn’t speech. To get that we need a president and a Senate that will appoint and confirm someone that supports that belief. And to get that, the best thing you can do is donate to the campaigns and party organizations that support those individuals.